Do I Need Dog Hair Clippers Since I Have My Dog Professionally Groomed? Summary: Many people choose to have their dog’s professionally groomed. This is understandable since it takes effort to become efficient at grooming; however, this doesn’t mean you shouldn’t try touching up periodically with dog hair clippers. Clippers are so handy to have at home. 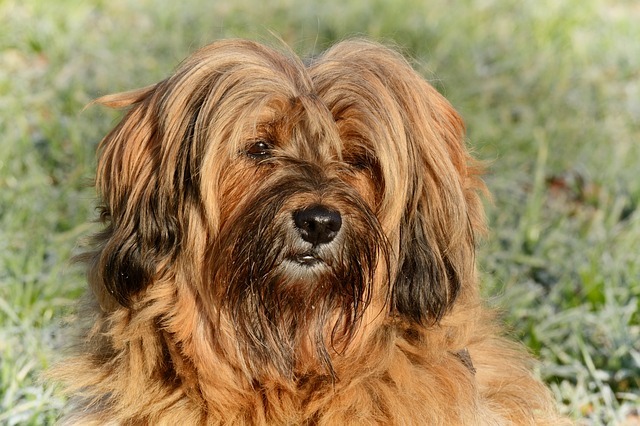 Sometimes you may want to do a simple touch-up or other times your dog needs a whole new cut but it will be a few weeks before the dog groomer has time to clip her. Times similar to these you are so glad that you have what you need to do the job! Even if it is simply cleaning up her beautiful face so that she can see better without having to visit the dog groomer. A variety of dog clippers and dog trimmers exist today. Each has their own unique features and price. Some have cords and others are cordless. There are different sizes so you can clip down to the skin or leave an inch or two. Some of the clippers come with kits that include different blades. Most come with basic grooming instructions. The difference between a dog clipper and a dog trimmer is that a clipper is used for the overall dog cut. The trimmer is for close-up like around the eyes and ears and the finishing cuts. Dog scissors also known as dog shears and come in different sizes depending on the need. It is important that you don’t expect your first dog cut to look professional. What you can save in money helps you to keep trying. Another of our favorites is the Andis line of dog hair clippers, specifically the Power Groom Clipper. It costs more, but is worth it! Specifically, we like the Andis EasyClip Pro-Animal 7-Piece Detachable Blade Clipper Kit . This clipper set is very, very quiet. Good for not disturbing your dog. Highly recommend this for dogs with thicker, heavier coats. Has a 12 ft cord, means not needing to have an extension cord nearby every time you are touching up your dog’s hair. If all you would like to do is touch up what the groomer has done periodically in between dog groomings, then all you’ll need is a basic, cordless trimmer. Trimmers are not very pricey, so you might as well get a cordless. Our favorite cordless dog trimmer is the Maxshop Rechargeable Cordless Dog Trimmer Kit . It is extremely quiet! We love it! And it’s rechargeable. You will need to periodically oil the blades. Also, remember trimmers are not as powerful as dog hair clippers. They are for light work and touch up… not cutting heavy coats! If you have additional suggestions or have experience with dog trimmers or grooming tables, we invite you to leave a comment or suggestion below.